The Best Woodturning blogs from thousands of top Woodturning blogs in our index using search and social metrics. Data will be refreshed once a week.Also check out Top Woodturning Youtube Channels list for Top videos on Woodturning. 1. Reddit | Woodturning | We take square stuff and make it round! About Blog We take square stuff and make it round!! The Reddit corner for all things woodturning. If you have questions, projects, updates, gripes, or any other spiny wood related thing. Here is the place to post it. Provo, UT About Blog It is the mission of Craft Supplies USA to be the industry leader among speciality woodturning companies worldwide by providing superior service, product and value to all woodturners. Facebook fans 15,872. Twitter followers 1,052. United Kingdom About Blog George is a professional woodturner based in Burnham-on-Sea, Somerset, where he creates a vast range of high quality products from pens, bowls, platters to wall and garden sculptures, from locally sourced native timbers. Texture and colour feature prominently in his work resulting with George producing practical, beautifully made work perfect for the home and garden. Facebook fans 2,017. Twitter followers n/a. Lewes, United Kingdom About Blog The Woodworkers Institute brings you latest news and equipment tests, projects and techniques plus blogs and an active community of woodworkers all from the home of the UKs best Woodworking magazines. Facebook fans 5,602. Twitter followers 10,223. About Blog A Woodturning blog. Find wood Artistry Of Alan Willoughby. About Blog I'm pursuing a dream. I've enjoyed woodturning for many years but work, family, and other necessaries have prevented fulfillment. I'm now reaching for the dream. I share my journey and progress so that others may also turn dream into beauty. Facebook fans 849. Twitter followers n/a. Maine, USA About Blog M&T brings readers a wide variety of content. We believe a full appreciation of period furniture making practice comes from an integrative approach where your mind is as engaged as your hands are in learning. Facebook fans 3,713. Twitter followers 885. About Blog This blog is all about woodturning tools and ideas for new woodturning projects. Seattle, WA About Blog Carter and Son Toolworks, based out of Seattle Washington, is a woodturning tool manufacturer. We love woodturning and we manufacture the very best woodturning tools. About Blog Award-winning fine woodworker, Andrew Potocnik is a renowned Australian woodworker who works with recycled and salvaged timber. About Blog Jonathan has a passion for working with wood, expressing its beauty within a contemporary design. Hand turned wooden bowls, beautifully crafted from sustainably sourced timber. Each bowl has a natural beauty that is truly unique. About Blog Welcome to my website! My name is Terry Vaughan, and I live and work in North London. I’ve turned wood for over 40 years, and now that I have retired from my day job I find it’s taking up more of my time. My workshop studio is filled with ever-accumulating shavings, timber, part-finished bowls and the tools I need for my work. Jim Lorriman About Blog I am a self-taught woodworker and turner. I have been operating as a full-time bowl turner for the last 20 years at my studio in the Mulmur Hills near Mansfield, Ontario. About Blog Harvey is dedicated to high quality machines in not only woodworking but other fields too. Check out our T40 Wood Lathe and our Gyro Air Dust Collector! Facebook fans 809. Twitter followers n/a. Carlow, Ireland About Blog Group lessons or individual courses in woodturning native Irish wood into bowls and functional ware. Classes for beginners interested in woodwork. Facebook fans 7,665. Twitter followers 230. South West, England About Blog Lathe Craft is a hobby-business that permits me to share with those that appreciate the beauty and uniqueness of hand turned, exotic, wooden objects. Facebook fans 319. Twitter followers 1. About Blog Martin Saban-Smith teaches, turns, and films his creative woodturning creations on social media. He also makes the popular Hampshire Sheen range of wax and oil finishes as well as blends the atmospheric Intrinsic Collection of coloured dyes. Facebook fans 1,452. Twitter followers n/a. About Blog Tom is an amateur woodworker, and more recently woodturner. This blog is dedicated to my love of all things wooden, and my journey from complete novice to whichever stage I reach as a woodturner. Bilsborrow, Lancs. About Blog The main purpose of the club is to foster interest in woodturning and to help members improve their skill in a friendly and sociable atmosphere. Atlanta, GA About Blog I created this blog to share my passion for woodturning. It includes articles I have written, links to YouTube videos of my demonstrations, demonstration handouts and links to other useful woodturning information. About Blog The Mulberry Tree Woodturnery was started in 2012 by Andy Fortune having been a hobby turner from 1996. Now on the Register of Professional Turners Andy specialises in teaching wood turning and making his own Bowls, Platters and Hollow Forms made from locally sourced timber from the Isle of Wight. About Blog Woodturning artist Lynne Yamaguchi creates unique sculptural wood vessels bowls to feed your soul. About Blog I am currently based in an old stable situated in rural West Sussex with magnificent views of the South Downs, I enjoy working with natural materials to create a variety of products I hope people will enjoy having as part of their homes. Orlando, FL About Blog My passion is wood. I love the feel of wood, the smell of wood, the textures of wood, the character of wood. I create with wood. I teach others to create with wood at Factur. Facebook fans 139. Twitter followers 64. Harray, Orkney About Blog Woodturner Michael Sinclair's gallery in Harray Orkney and online shop selling bowls turned in Scottish hardwoods ash, yew, sycamore, oak and beech. Facebook fans 531. Twitter followers 739. About Blog Our mission is to promote the craft and artistry of woodturning and provide members a place to share their knowledge, enhance and improve their skills, and to enjoy the fellowship of other woodturners. Warrington, England About Blog My passion for woodturning started in 2016, after being introduced to a local woodturning club by my brother in law. Here I made my first project, a wooden rolling pin, after that I was hooked and the rest is history. I bought a lathe for myself and started to wood turn. About Blog I am an accountant who uses woodwork as a way to escape computers. I work in the back half of a tandem garage under the house; effectively a basement that also houses my wife’s car. I have a reasonable set of tools and am getting more into hand tools, mainly due to the lack of noise and dust minimization. Petersfield, England About Blog Colin Norgate is a designer and maker of exquisite furniture and objects in wood. Facebook fans 10. Twitter followers 21. Bologna,Italy About Blog A Woodturning blog. About Blog The mission of Channel Islands Woodturners, Inc. is to promote education and awareness of the art and craft of woodturning among the membership and the general public; and to provide opportunities for youth and adults to safely learn woodturning techniques, acquire artistic values, and increase experience and skill. Alton, Hampshire About Blog Promote woodturning to a wide audience through contact with local agencies and groups. Coaching sessions for beginners and intermediate turners in a variety of disciplines. Facebook fans 97. Twitter followers 219. Centurion, Gauteng About Blog Andrew Bourke is an IT professional by day and a enthusiastic wood craftsman the rest of the time. He is a member of the Pretoria Woodworking Association, he utilizes a variety of different techniques in his artwork and is constantly pushing his own personal boundaries. Wexford, Ireland About Blog Welcome to Robert O’Connor The Woodturning Studio Multi award winning Robert O Connor is regarded as one of the finest woodturners in Ireland crafting unique wooden pieces for over 25 years. All our pieces are hand-turned from locally sourced timber. Oakham About Blog We are a Leicestershire, Rutland and Scotland based carpentry business who specialises in hand crafted products turned on are own wood lathes. Australia About Blog I am a maker of wood chips and dust leaving behind items that are functional and/or decorative. This site provides samples of my work. About Blog The Club provides a place for area woodturners to meet regularly, show their recent work, learn new techniques, and discuss various aspects of woodturning. We have lathes available, and experienced turners to demonstrate safe procedures and techniques. About Blog Woodturning is about curves and curves fascinate me. A beautiful curve can give a sense of movement to a static object, creating a sudden feeling of tension in the observer and releasing it just as quickly. I strive to incorporate these qualities into my work. 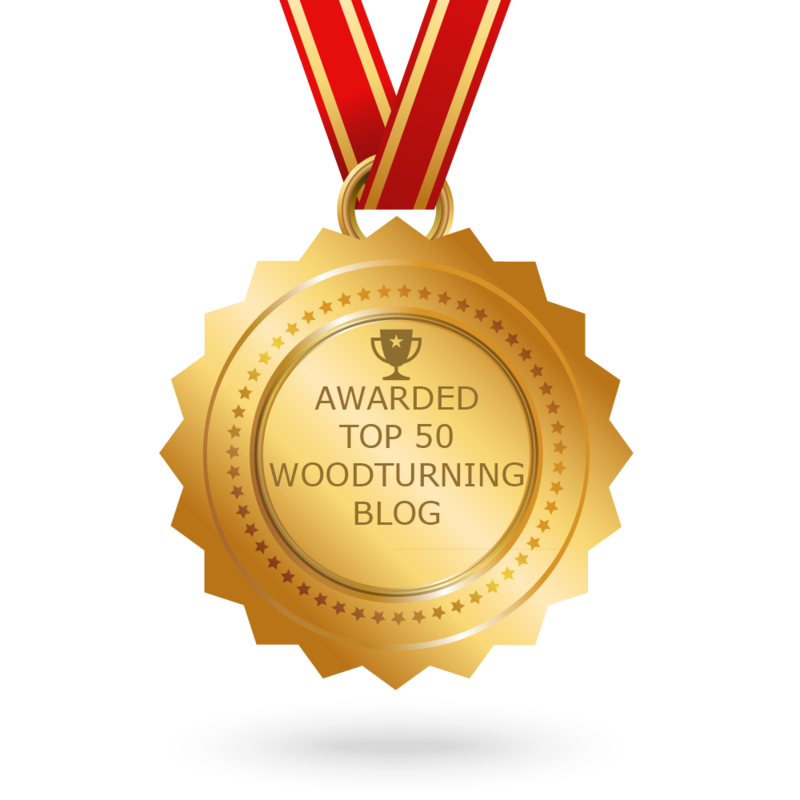 CONGRATULATIONS to every blogger that has made this Top Woodturning Blogs list! This is the most comprehensive list of best Woodturning blogs on the internet and I’m honoured to have you as part of this! I personally give you a high-five and want to thank you for your contribution to this world.